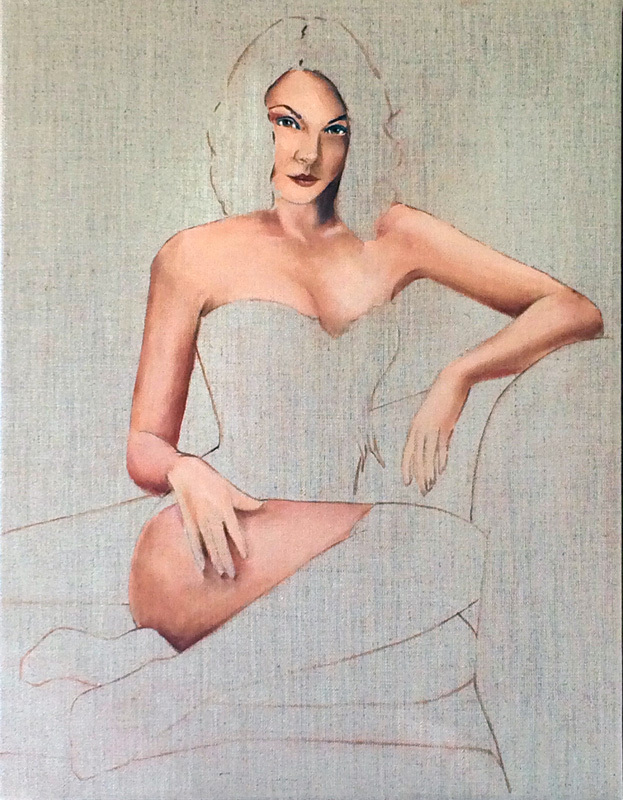 Started to add a base of flesh tones. 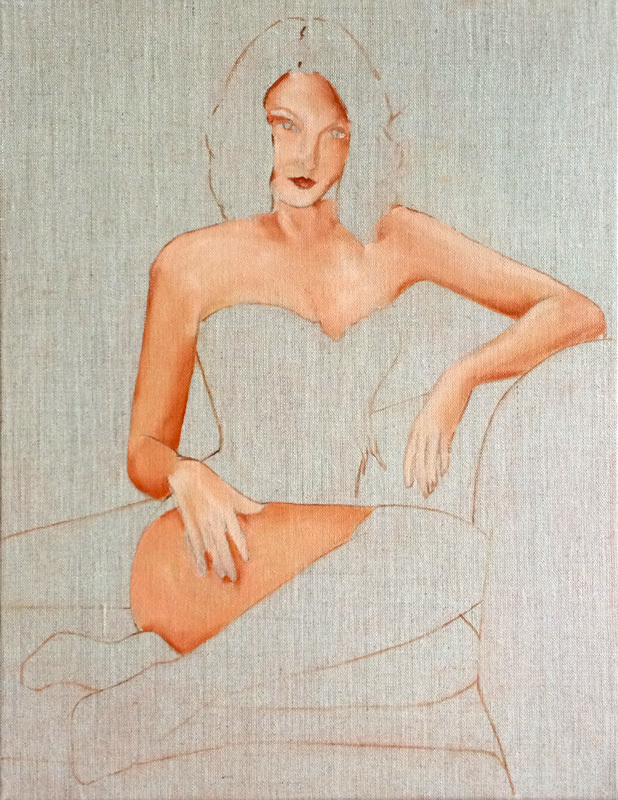 The paint is going on incredibly smoothly - I'm loving these canvases. 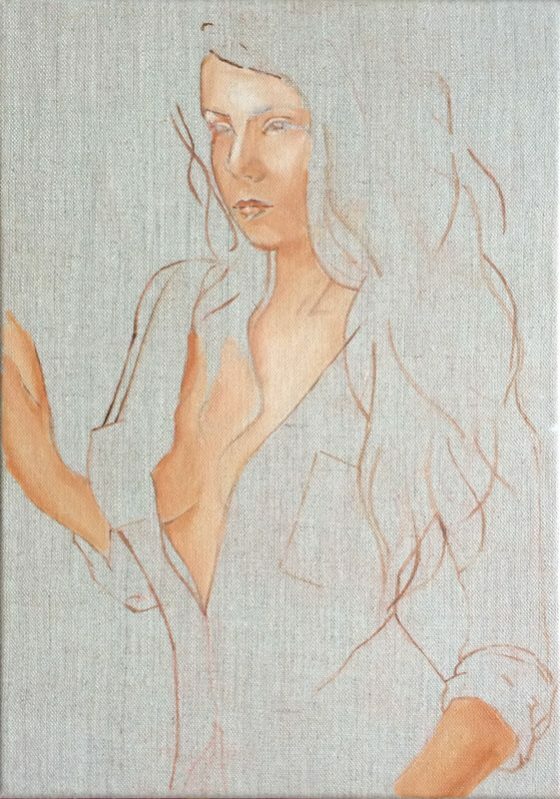 I'm using raw sienna and light read with white for my flesh tones - these are my go-to colours for portraits. 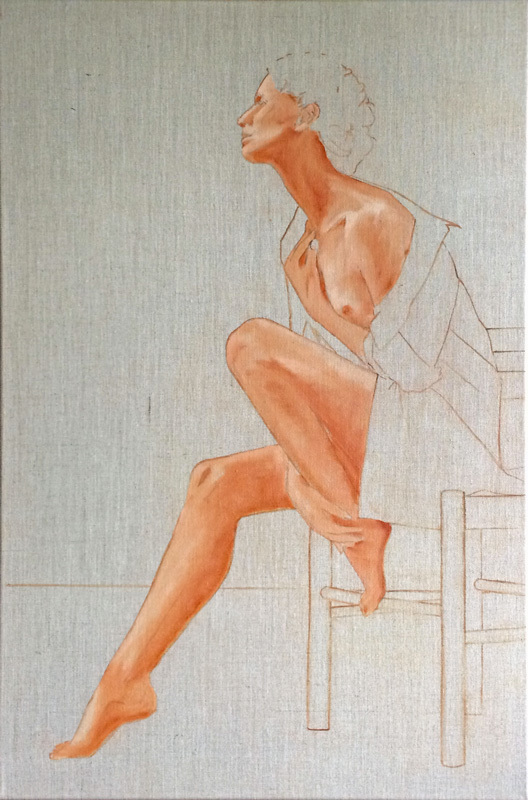 Another layer of paint, the colours are starting to stand out on the linen. 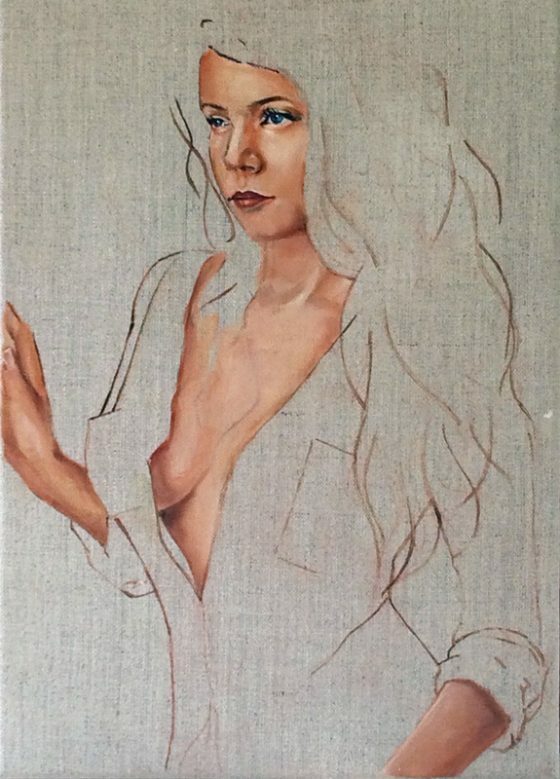 The natural look of the linen works really well with portraits and figure painting - it seems to give a luminosity to the colours. 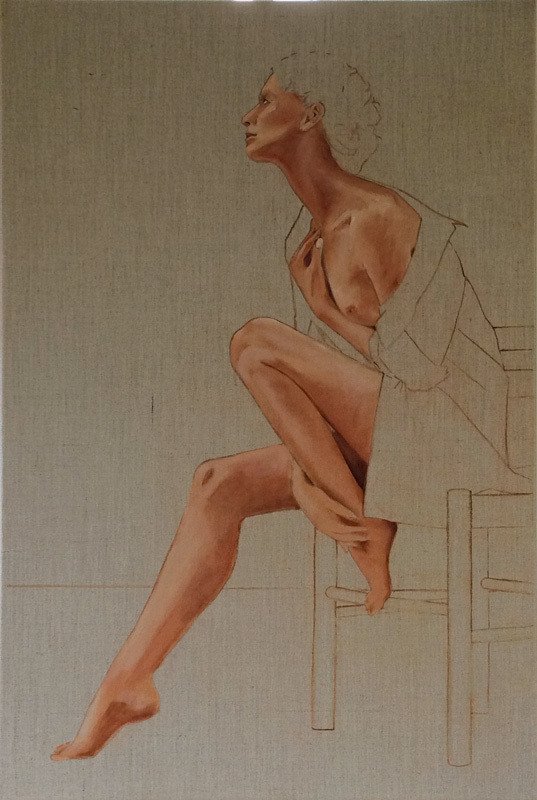 I've added more definition with my flesh colours and have started to use burnt umber in some shadow areas. I've also added some colour to the eyes and lips.